• Capability and creativity. It’s one thing to be able to perform the job at a basic and perfunctory level, but is this the best use of your capital? To hire an exceptional employee, ensure that they can demonstrate from experience, that they can come up with creative and innovative ways in which to increase productivity or problem-solving in a particular area. Are they willing to take on more responsibility? • Are they compatible with you, the job and other staff? While you don’t expect everyone to be the same with identical personality traits and backgrounds, you do need to ensure that the person you are choosing to interact with your current staff for up to 40 hours or more per week, is going to be someone with whom you and the other staff get along. If they are a congenial, happy, team-oriented and goal focused individual then chances are they will be able to fit in well with their new surroundings. Calling past employers is a good way of finding out about team functioning. • Are they committed to you and your success? If you’re looking at a resumé that is littered with small amounts of time at different places, chances are the employee in front of you isn’t there for the long haul, and the expense of training and upskilling him/her for a suitable role in your business is going to be largely a waste of time. • Is their character of good repute? You and your other employees need to know that the new ‘guy/girl’ is above reproach; that you would not introduce someone who is of a suspicious character into their workplace. A few phone calls will soon determine the results you need. • Is their culture compatible with your work culture? This doesn’t refer to someone’s ethnic origins. This is about fitting in with the way in which things are done in your business. Do they share the same values, expectations, insights and behaviours as the rest of your staff? Are they going to fit in from the start? • Are you able to compensate them according to award conditions and rates? If you find that they are ‘over’ qualified, or ‘under’ skilled, then it could result in an employee feeling under-valued or over-valued and not satisfied with what is on offer. Even though they may state they are happy to accept conditions as they are, the future realities may prevent employee satisfaction and this could adversely affect the mood of the whole business. But what also needs to be considered is how employers reward their teams and the impact on payroll. How do you incentivise employees, both new and loyal, to keep them motivated? For most businesses, retention of good staff members is important but finding ways to reward staff that go the extra mile for the business without increasing wages or salaries can be tricky (and anything that goes through the payroll will incur PAYE). Bartercard is a great tool to reward, provide incentives and support wage levels. And with the intelligent use of Bartercard, you have an incredible tool with which to select, maintain, up-skill and retain staff. Take a small manufacturing company who wants to reward their top sales person with an incentive, but budgets are tight. Working with the Bartercard trade exchange the business can gift that staff member by purchasing a reward (such as a dinner out) through the Bartercard network using accumulated Trade Dollars. The business preserves their cash, while saying thank you to that employee, and better still gifts under $300/per employee, per quarter are exempt from tax under Fringe Benefit rules. 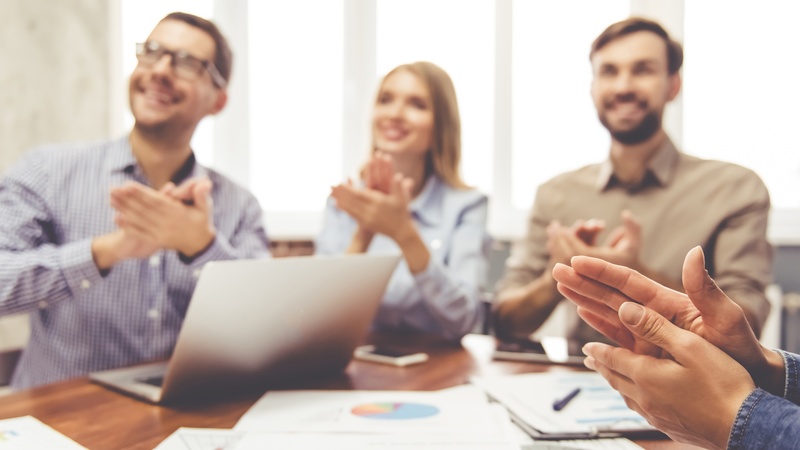 Our eBook How to use Bartercard to grow your business offers helpful advice on how to use Bartercard to incentivise and reward your staff so you can ensure you make sure your employees are the secret to your long-term success.